With the myriad of healthcare IT solutions and services available in the current market, it has never been easier to be a CIO and/or CTO. ...To an extent. On the one hand, you’ve got lots of products and services to choose from, many of which are priced competitively to survive an oft saturated market. But on the other hand, there is so much noise in this space that it can be difficult to ascertain who offers the best value, what you really need, and who isn’t going to promise the world and deliver dismal results. 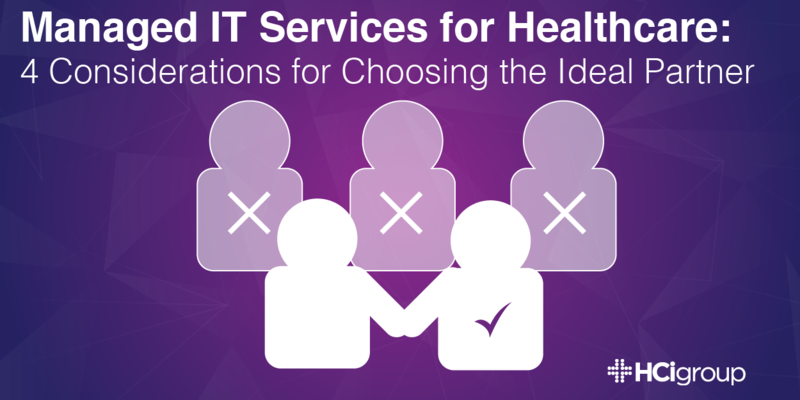 Afterall, your budget is likely one of the biggest in your healthcare organization, so you’ve got to be prudent when choosing a healthcare IT partner and deciding which IT Managed Services are needed to make your health system thrive. With 2018 at a close, we compiled our top 10 most popular blog posts of 2018, in one place. We hope that you enjoyed our posts from 2018, and we are looking forward to creating even more helpful content in 2019. Healthcare CIOs have many concerns. From protecting patient information to optimizing EHRs to improving the patient experience, CIOs must do much with relatively little. Budgets are largely consumed by compliance initiatives, meaningful use investments and keep-the-lights on infrastructure requirements, thereby often forcing healthcare organizations to forego innovation and value-added initiatives. Yet CIOs still must provide value by aligning their limited human capital resources with the business imperatives driven by their organization’s strategic plan. Reducing costs and improving care are paramount, particularly given the need to prove value to receive reimbursements. But spending less can compromise care, thus actually jeopardizing patient health and undermining organizational revenue. With so many conflicting priorities, healthcare CIOs have much to be concerned about but not enough time or resources to solve all of their problems. 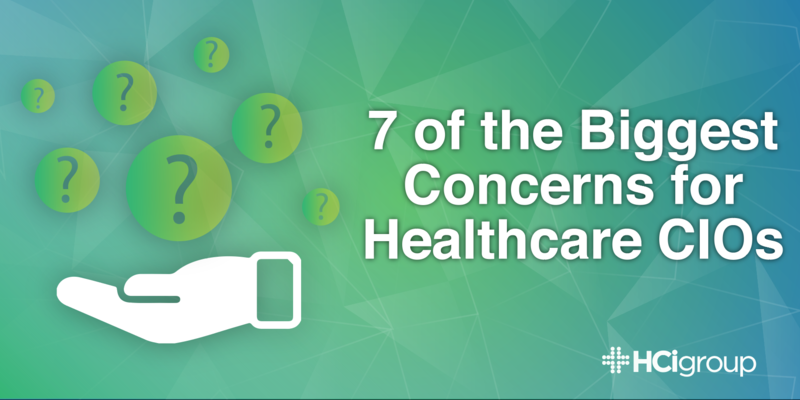 These are seven of healthcare CIOs’ top concerns. Digital transformation requires resources. But, devoting resources to innovation often requires healthcare organizations to shift them away from keeping-the-lights-on activities (KTLO). Health IT leaders must increasingly choose between a focus on KTLO or value-added transformation initiatives. Neglecting investment in one area at the expense of the other can comprise an organization’s competitiveness. 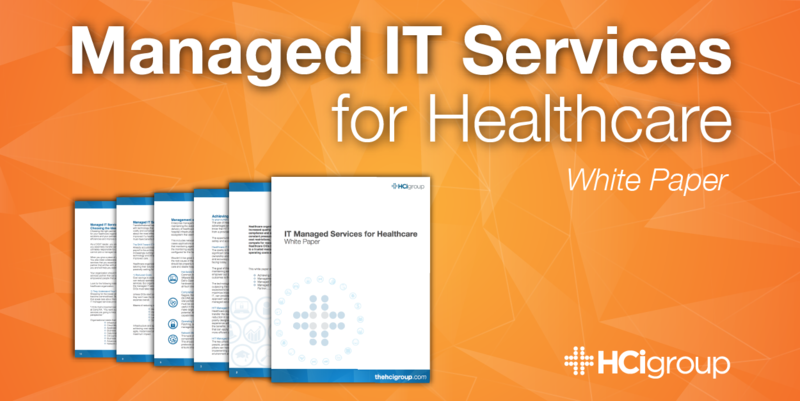 Managed IT services for healthcare can provide a solution. Healthcare organizations have invested heavily in technology with the promise of increased quality of care and reduction in cost while maintaining regulatory compliance and a competitive position in the market. Healthcare CIOs are under constant pressure to deliver on this promise in a dynamic industry where regulations, cost restrictions, skills/staffing issues, compliance and cyber security challenges compete for resources and funding. 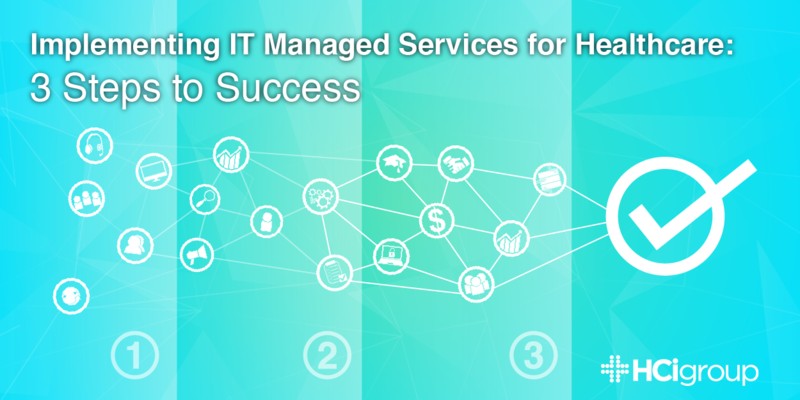 Choosing the right partner is essential for maximizing the benefits of IT managed services for your healthcare organization. You must adequately consider your needs, your partner’s solutions and your partnership together if you are to reduce operating costs, increase efficiencies and improve care as you desire. Transformational healthcare IT projects don’t occur in a vacuum. Empowering caregivers with technology that enables them to provide the best possible outcomes to their patients is costly and complicated. A significant investment in technology alone isn’t enough to bring about the most effective care either. People must be supported and processes must be improved if a healthcare organization is to thrive in an evolving industry. 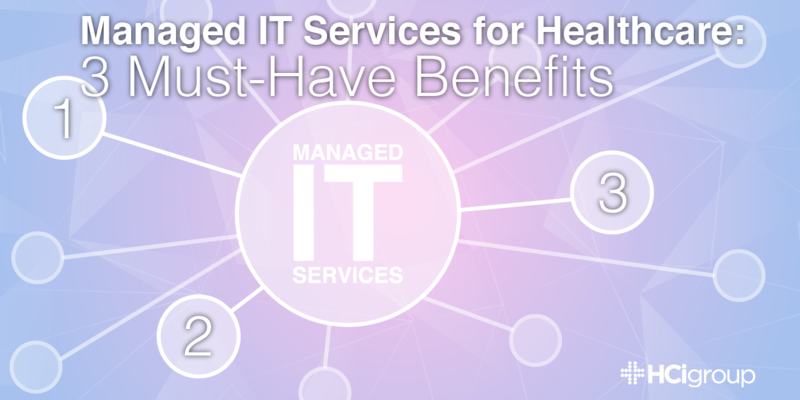 Read about 3 must-have benefits that can be realized with managed IT services for healthcare. 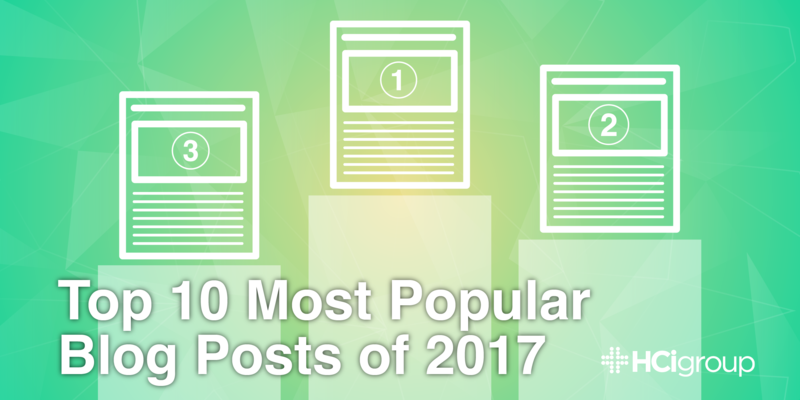 With the close of 2017, we thought you might enjoy a compilation of the top 10 most popular blog posts of 2017, in one place. We hope you enjoyed the content from 2017, and look forward to even more helpful information in 2018. 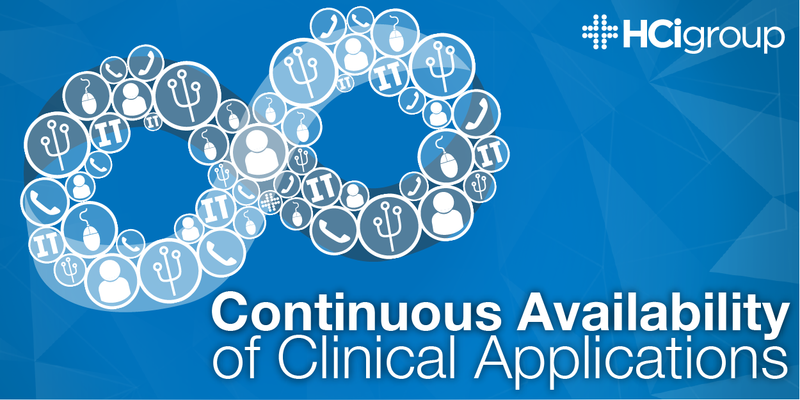 Continuous availability of healthcare applications has always been a goal for healthcare IT and is a mandatory requirement for the delivery of clinical applications. Healthcare organizations can be severely impacted by application, hardware or data center outages. The risks to patients and increased hospital liability can be substantial and creates the need for an availability strategy that supports the future of healthcare IT. 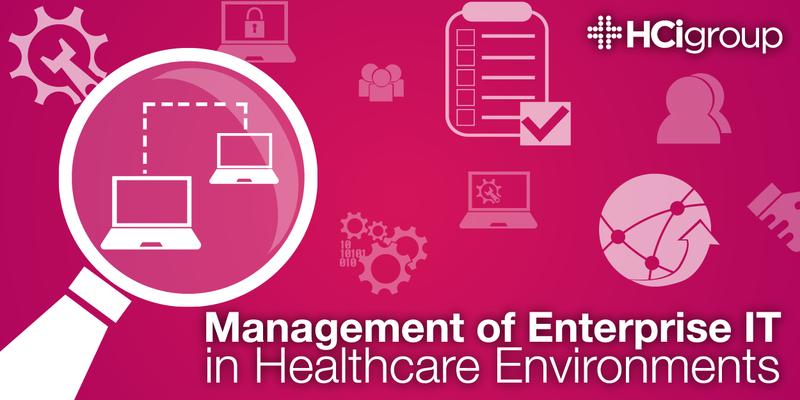 Enterprise management continues to be a challenge in healthcare IT; this is a critical part of maintaining the stability and reliability of clinical and financial systems that support the delivery of healthcare services. Deploying proactive monitoring and administration of all hospital infrastructure and application technology must evolve with the dynamic healthcare ecosystem that seems to change daily.